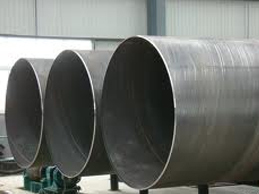 Seamless steel Line Pipe in sizes ranging from 1 to 16 3/4 inches (26 to 426mm) in outer diameter is mass produced at the Wakayama Steel Works by the high toe angle piercing, fully retained bar mandrel mill method, the most advanced technology of its kind in the world. The hot line fully utilizes technologies that Sumitomo Metals has accumulated through many years of experience and basic research. These industry-leading technologies, many of which we developed, include a process computer, a quality control system employing state-of-the-art inspection and measurement devices, and various advanced automation systems. 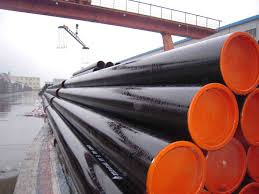 The large-diameter welded pipe is manufactured at the Kashima Steel Works. The steel plates are first bent into U-shapes, formed into round shapes by the O-ing press, and then have their seams submerged-arc welded. With over 90 percent of these large pipes used in energy fields such as oil and natural gas pipelines, reliability is the foremost demanded. Sumitomo Metals is already the global leader in the manufacture of high-purity steel pipe resistant to corrosion from hydrogen sulfide, high-strength heavy wall pipe to withstand high-pressure transport, and other high value-added products. 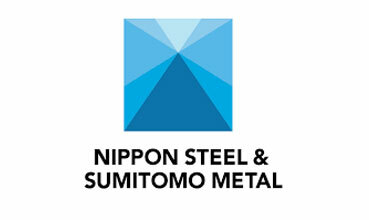 Give us a call today to get all the information, +91-9819591024, If you're looking to buy or sell Nippon Steel (Sumitomo Metals), we can help., call to our Stocking Distributor in India or mail us to info@neelconsteel.com for instant free quote of Nippon Steel (Sumitomo Metals). Neelcon Steel Wholesale Various High Quality Nippon Steel (Sumitomo Metals) in all shapes and sizes and with any specifications that the clients, More then 1500 Worldwide.